Figure 1. Screenshot of 3D mesh generated from cranial CT of modern human (Homo sapiens) temporal bone showing 22 landmarks. 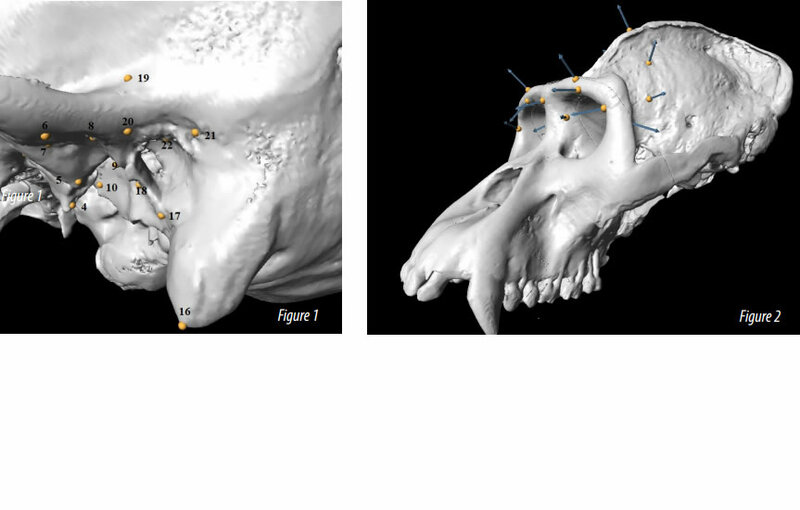 Figure 2.Screenshot of 3D mesh generated from cranial CT of male mountain gorilla (Gorilla beringei beringei) showing 16 landmarks on the frontal bone. More than a decade earlier, researchers examining the hard-tissue morphology of the great apes had made some important discoveries. Since that time, advances in analytical methods for scanning collections of anatomical specimens were made, giving Pearson hope that they “might enable me to accurately infer the relationships of hominids, including the closest extinct relatives of modern humans.” The goal for scientists was to present an evolutionary family tree, or phylogeny (i. e., the history of organismal lineages as they change through time), including images to demonstrate how and to what degree some member of a latter generation of great apes might have resembled previous ones. Pearson faced some significant obstacles to conducting her ambitious research. First of all, she needed to be able to gather and examine a sufficient amount of specimen data to rigorously study the temporal bones in the great apes and persuasively make her case. Until recently, studying the collections at the few institutions which housed significant data required that researchers travel to those sites scattered worldwide. Several conventional methods did exist to provide multi-plane views. The earlier study relied on a 2D structural analysis tool to look through the joint and take linear measurements. The problem was that these 2D tools were both time-consuming and not very accurate. Pearson tried using a program called Landmark and those from the Institute for Data Analysis and Visualization (IDAV). “These programs proved frustrating because they can’t handle large files; they invariably crashed whenever I tried to import big files,” she says. Then Pearson heard about a solution from Stratovan Corporation that can handle large files and offers the imaging of fine details and modeling capabilities she sought. Stratovan’s Checkpoint™ offers integrated, state-of-the-art 3D shape analysis and visualization tools originally designed to give healthcare professionals a suite of better landmark-based tools to facilitate a deeper understanding of 3D anatomic structures. It provides 3D views of CT, MRI, PET and other 3D scans from a variety of modalities – including 3D surface scans – and enables the efficient collection of thousands of landmark points to provide precise analyses of complex 3D shapes. The study conducted by Pearson successfully replicated the results of the 2004 study, and also demonstrated that both shape and size of the temporal bone affects the phylogeny (“tree of life”) of the great apes. “In particular, we showed that hypertrophy (over development) of the temporal bones of the great apes contributed to their position in the phylogeny, whereas humans are much finer in their morphology,” says Pearson. “I can easily envision surgeons and researchers in orthopedics, radiology, archaeology and other fields who need to precisely measure, compare and analyze hard and soft tissues morphology in 3D getting a lot out of Checkpoint too,” says Pearson. In my research, it’s essential to get precise 3D measurements and the coordinates of bone structures, soft tissue and size and shape configurations. Checkpoint is the solution I recommend to researchers because it’s easy to use, reliable, doesn’t crash, can handle large files and works with lots of file formats – like Excel – that can analyze coordinate data for researchers in zoology, paleontology, healthcare and other fields. School of Archaeology and Anthropology at The Australian National University’s College of Arts and Social Sciences, and Di Scienze Chimiche e Geologiche, Università di Modena e Reggio Emilia. Modena, Italy. Alannah Pearson sought to revisit a renowned 2004 study of hard-tissue morphology among various species of great apes, but she needed an easier, more effective, efficient and less expensive way to gather, view, catalog and manipulate virtual 3D models of specimens generated from CT and HD surface laser scans, and data generated with an HD laser scanner. Stratovan’s Checkpoint™ provides electronic imaging through a comprehensive set of state-of-the-art, 3D, shape-analysis and visualization tools for better landmark-based measurement capabilities and deeper understanding of 3D anatomic structures. Beyond its popularity among archaeologists, Checkpoint™ can help professionals in healthcare (surgical planning and radiology), industrial design (biomedical/prosthetics), and many other fields.